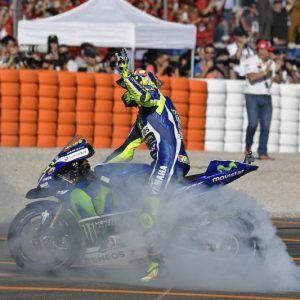 YAMAHA MOTOGP TEAMS AND RIDERS: Movistar Yamaha MotoGP Team gave racing fans from all over the world a first glimpse of its team colours for the new season during the official team launch at Telefónica‘s headquarters in Madrid, to kick-start their 2017 campaign. The Italy-based team travelled to Madrid in the last week of its ’winter break‘ before heading overseas for the first official IRTA MotoGP pre-season test of 2017 in Sepang. 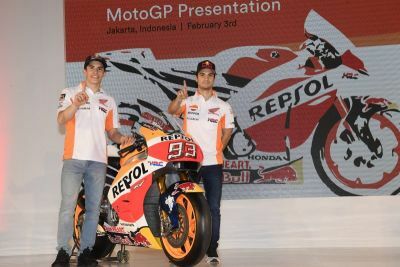 During this on-track outing, Movistar Yamaha MotoGP riders Valentino Rossi and Maverick Viñales will help Yamaha‘s engineers fine-tune the development work of the YZR-M1 that was carried through during the “off-season”. 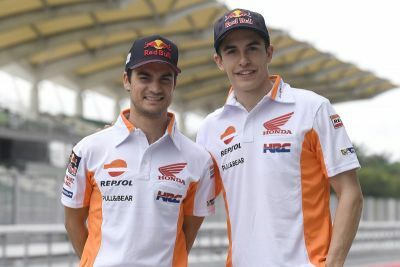 The Valencia test already showed great promise for this formidable team; all members are eager to reclaim the MotoGP World Championship crown.